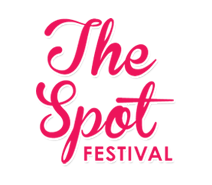 The Spot leisure and services precinct is in Randwick in Sydney’s eastern suburbs. It is well served by Sydney buses, known to taxi drivers and quite accessible by car. The education system in Australia is open to all people. It offers an opportunity for all age groups and levels of ability. The Eastern Suburbs Area Health Service has integrated its hospital and community health services to improve the experience of patients and resources. Randwick City offers a huge range of activities for visitors of all interests. These range from leisurely strolls to team sports, with something guaranteed to appeal to everybody.